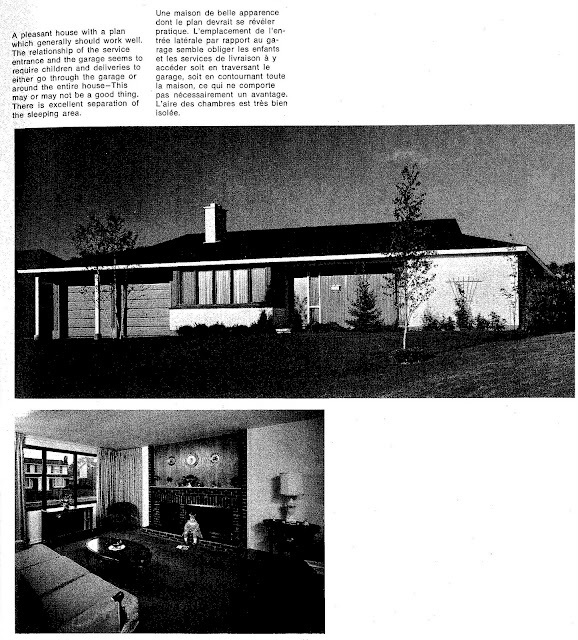 A celebration of Mid-Century Modern (MCM) and 1970s residential design in Ottawa. 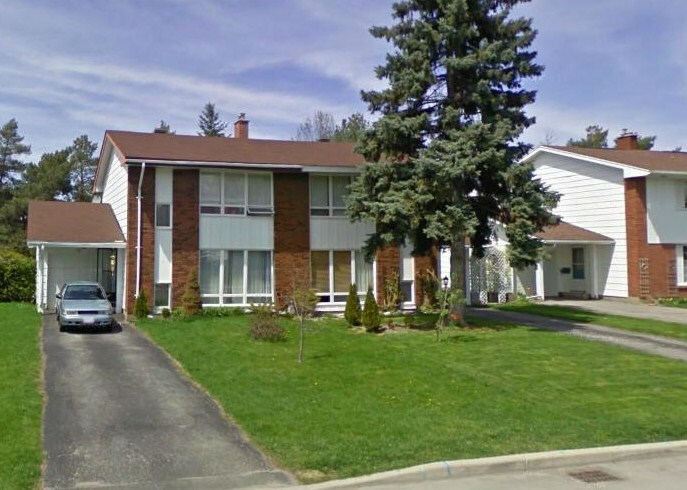 Southeast of Baseline and Greenbank Road in Nepean is the community of Briargreen, which was built during the 1960s. With only 2 access streets, the area has very little traffic with quiet tree-lined streets. 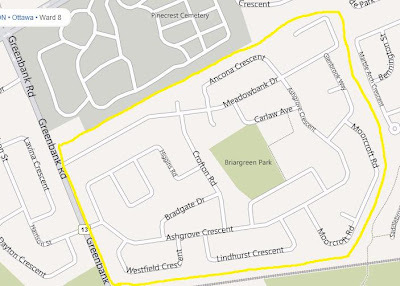 The area was built exclusively by Campeau and Minto, with the exception of a handful of houses on the extreme eastern edge which were built by Falconcrest Homes in the 1980s as a part of the Centrepointe community. The north, west and southern edges are bounded by streets with semi-detached houses, while the centre of the community is filled with detached houses. 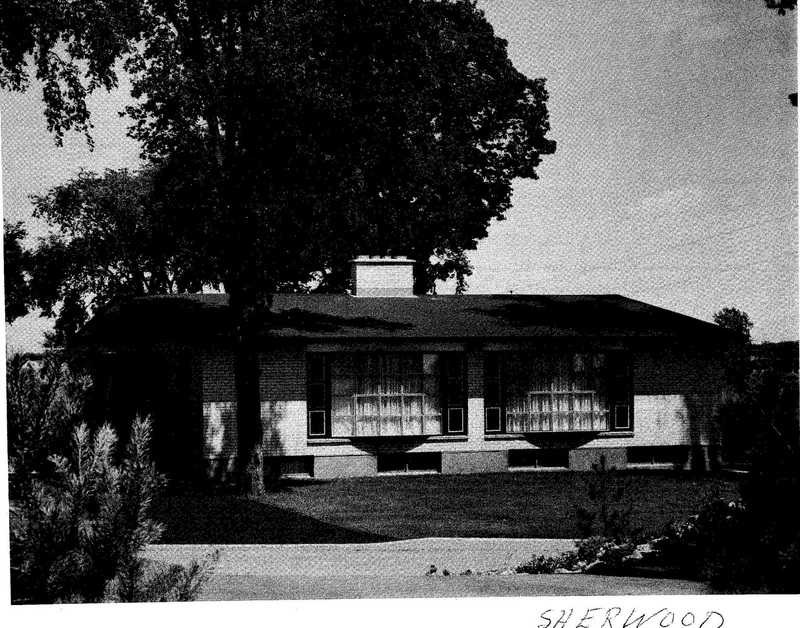 I like to think of Briargreen as a sort of 'snapshot' of mid-century architecture in Ottawa. There is great variety in the styles of houses in the neighbourhood - from traditional to modern - often built side-by-side. 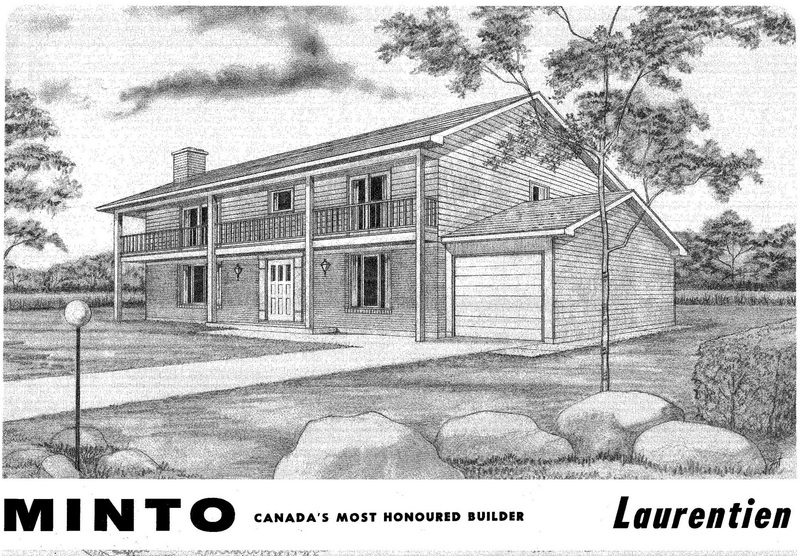 Minto-built houses - modern and traditional intermixed. The different types of house designs found in Briargreen mirror what was popular at the time throughout the city. I will look at selected examples built by both Minto and Campeau. Minto: Homes built by Minto are located in the southern and eastern part of Briargreen. Notice that there is only a 1-car garage - which was not out of the ordinary at the time. The facade of this design has a very traditional feeling. 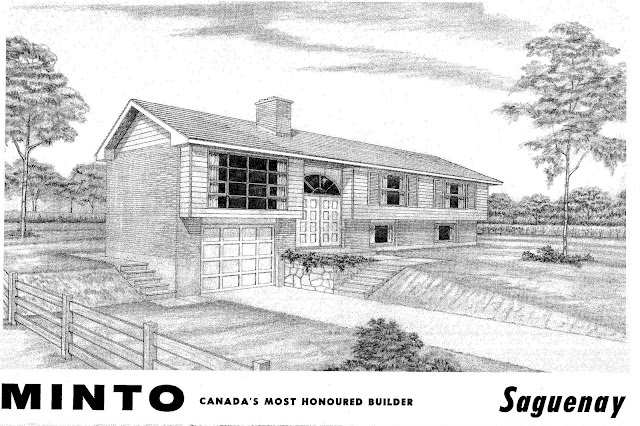 Often this design is referred to as the 'cape cod' - even though it was called the Saratoga. 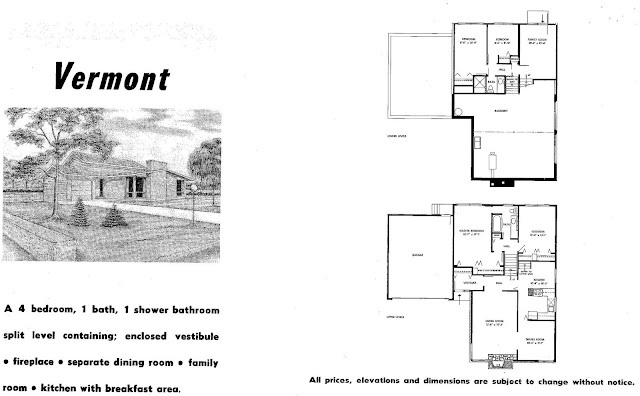 This design also has a very traditional facade with a centre-hall plan - very popular at the time. 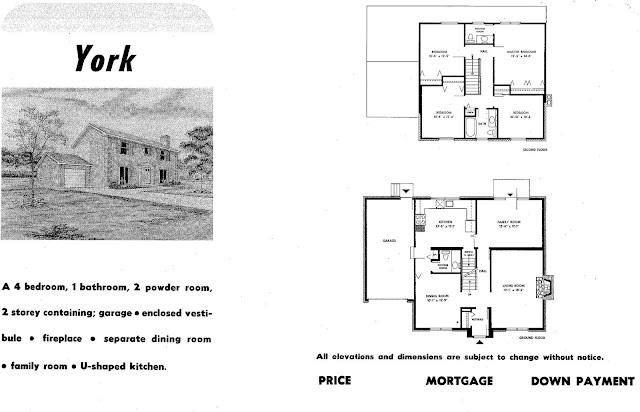 Certain areas, such as Guildwood Estates in the East end, are almost exclusively filled with centre-hall plan houses. One of Minto's few high ranch, or raised bungalow, designs. The facade has many traditional elements, yet the large picture window over the garage gives it a decidedly modern edge. A decidedly modern facade with corner windows and an off-centre chimney. 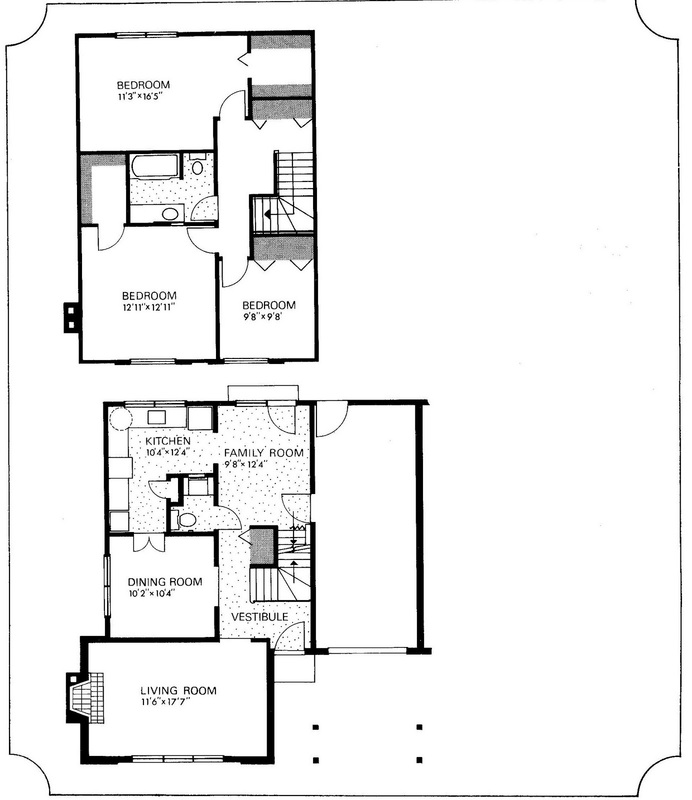 This modern bungalow design has a family room overlooking the yard. 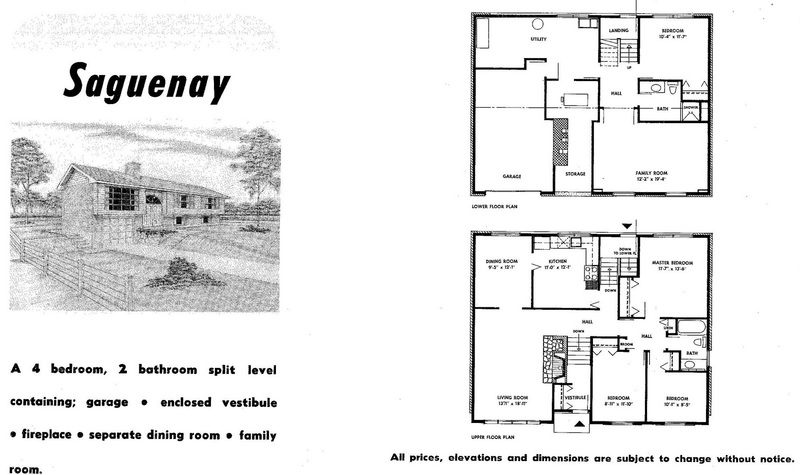 This is of interest as many bungalows at the time did not have a family room on the main level. The Belmont is the most modern design built by Minto in Briargreen. It is based on early plans that were built in areas such as Crystal Beach. Two of Minto's Canadian House Design Council award-winning houses were built in Briargreen. 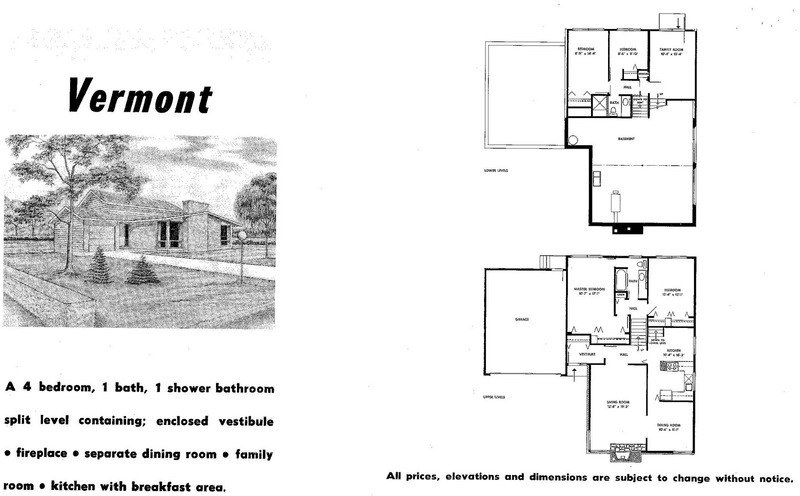 These Minto semi-detached plans have a certain modernity in their facades - especially the one on the left. 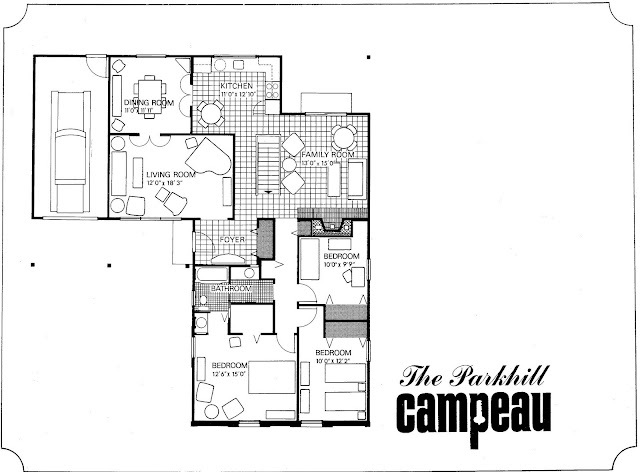 The same plans were built in Parkwood Hills and Beacon Hill. 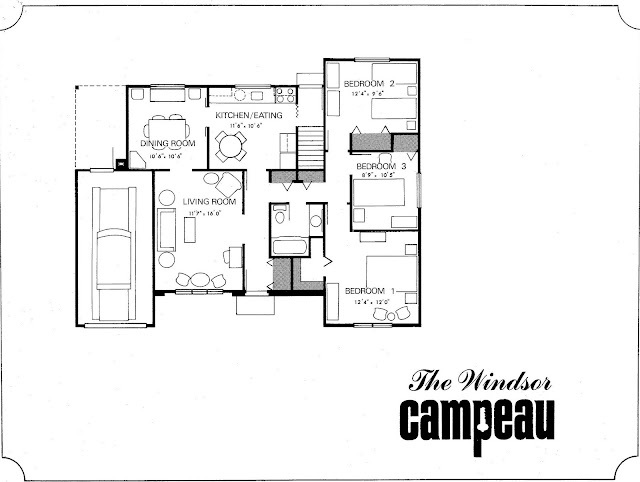 Campeau: While Campeau built in the Briargreen neighbourhood, it seems that they marketed it as a part of their established Leslie Park development, which is found on the west side of Greenbank Road. Perhaps they did this to distinguish themselves from the Minto homes. 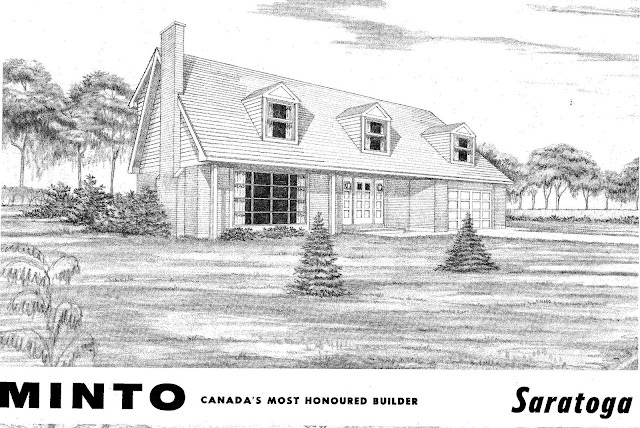 Mansard and Gambrel (barn) roofs were very popular in Ottawa during the 1960s and into the 1970s. Campeau built countless houses with such roof lines throughout the city. This particular one is an updated version of the Mansard roof line - which stradles tradition and modernity. 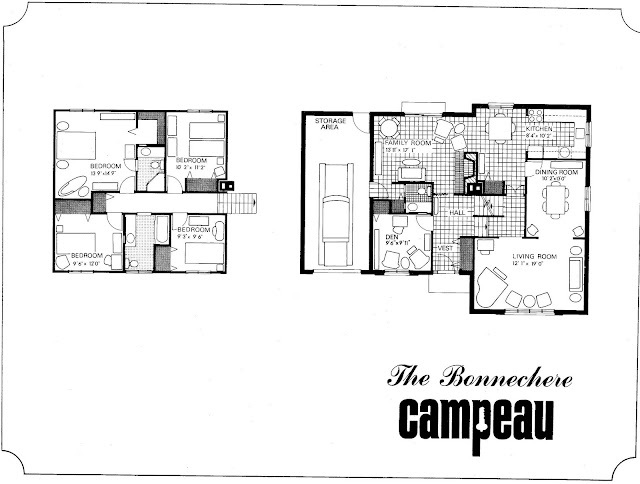 The Bonnechere plan pictured here had many variations that were built over the years. 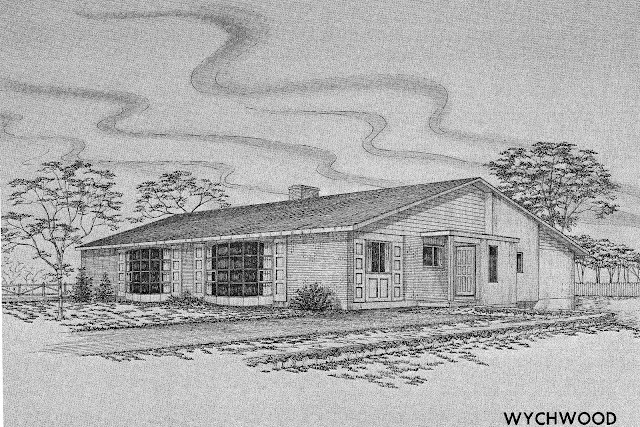 This is an early version with a single-car garage. Another example of a design with Mansard and Gambrel roof variations. This version of the Mansard roof (top left) is a more traditional take, compared to the roof on the Bonnechere. 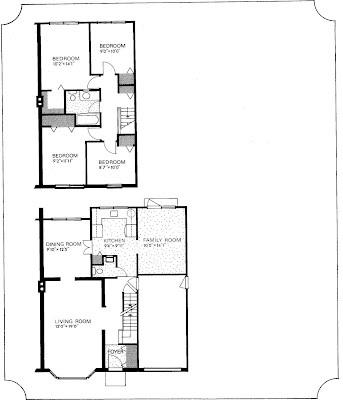 While this design offered a modern elevation option, only the two traditonal ones were built in Briargreen. 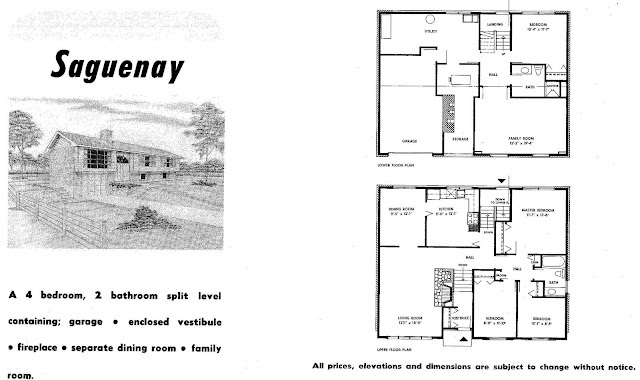 Various semi-detached and 'Duette' (only attached by the garage) houses were built by Campeau in Briargreen. 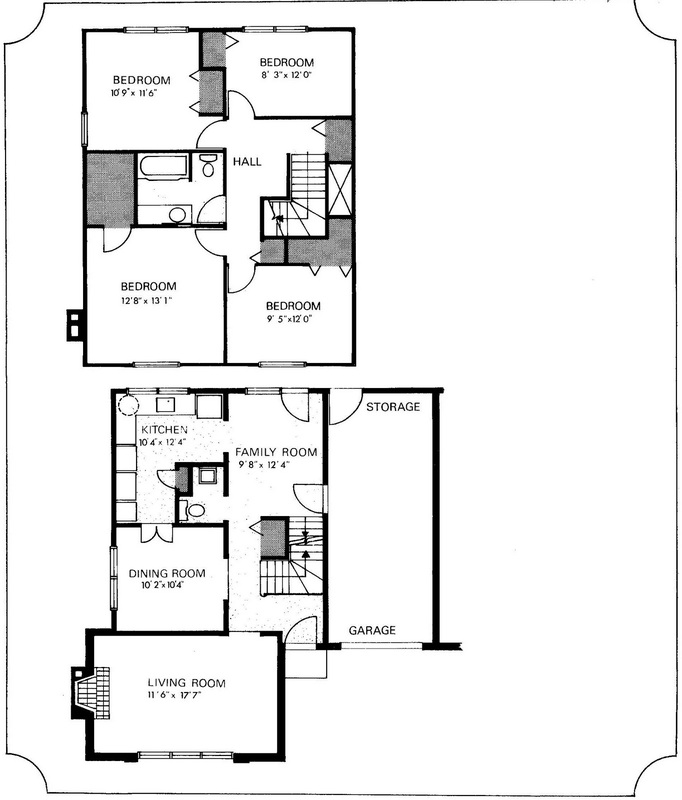 Notice the design with a Gambrel roof in the above image. The 'Duette' designs are above and below. Tradition and modernity coexist side-by side in Briargreen. 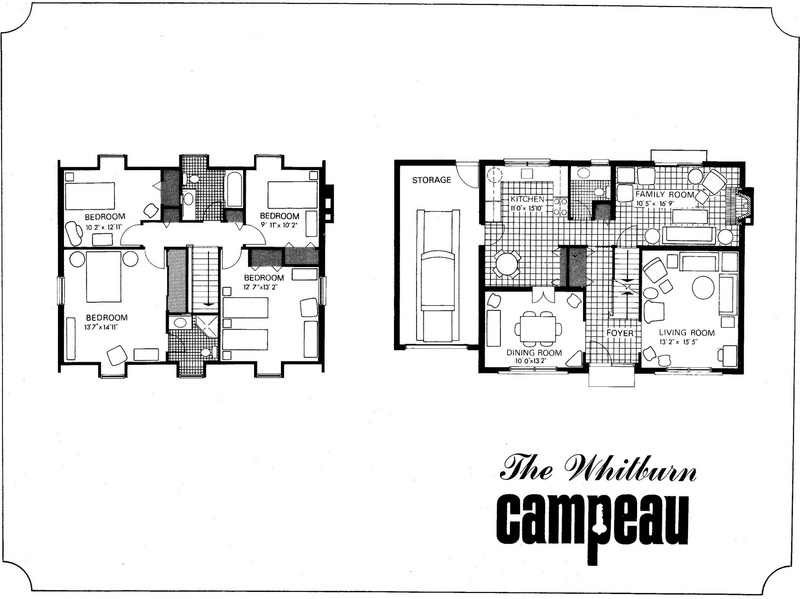 Campeau homes shown below. 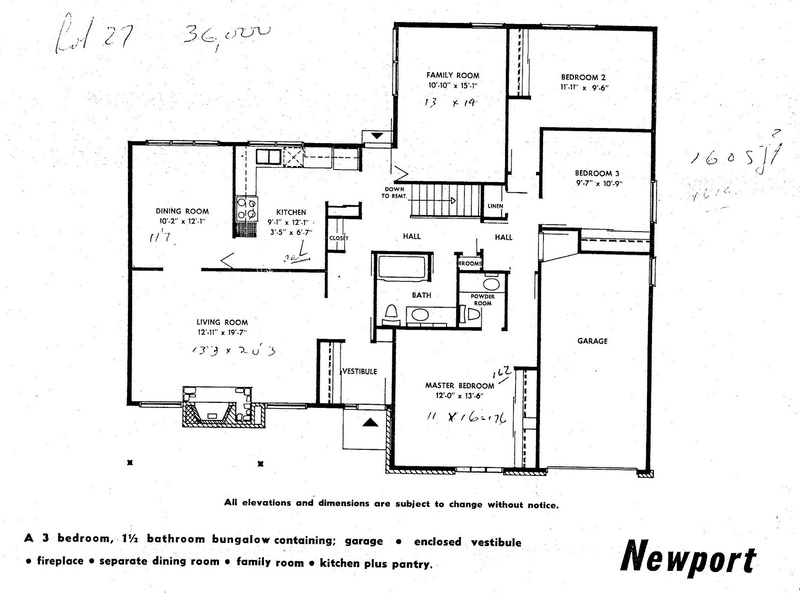 You missed the Campeau Newport one of two similar split-level models. The split-level architecture very much evokes 60s-era style in my mind. Any chance you have plans for Campeau bungalows in Carlingwood? We have one very similar to the "Normandie", but ours has no vestibule, the bedrooms are mirror-image and the stairs are in the kitchen. The Saratoga is more likely based on Quebec Revival than Cape Cod - three dormers and the roof extending over the entrance-way are the giveaways. first off thank you for publishing this gold mine of info. I own a Campeau Vermont back split, the plan of which you published here. 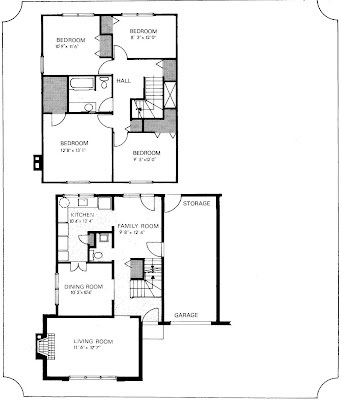 I was wondering if you could produce a higher resolution of the floor plan, or perhaps suggest a place here I could find it. If you click on the "about me" link on the right of the page, there is a link to email me. I can then scan and email you higher quality version of the Vermont plan. Thanks for this great info. We are looking at houses in this neighbourhood and it is great to know the models. Thank you Saul. 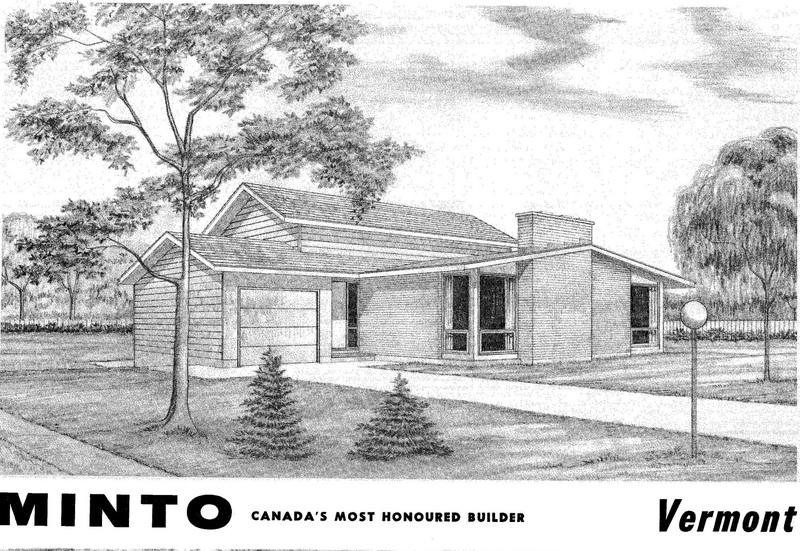 Do you have any plans or information on Minto's Algonquin model, built in 1972? 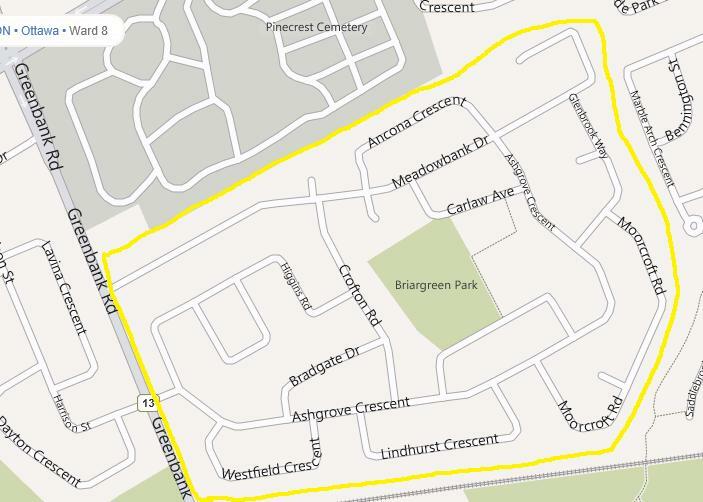 What is the name of the subdivision Rivershore Crescent is located in? Hi there, I actually do not have any information on a Minto-built Algonquin plan...What area was it built in? Rivershore Crescent is in the Beacon Hill North area. Hi, great post! 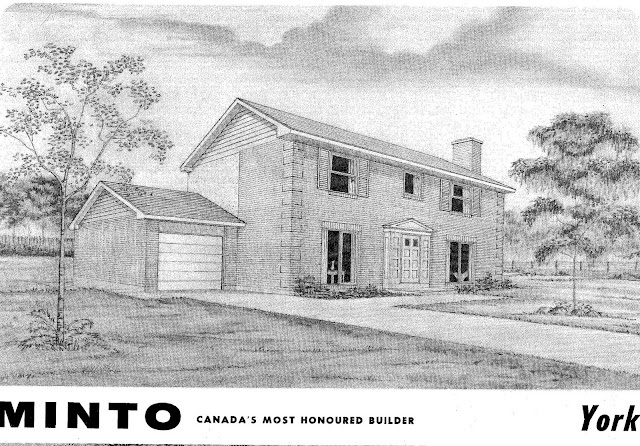 Do you have any information on the minto Sussex model built in the briargreen area. Also I was looking for reviews for minto during this area for quality etc. 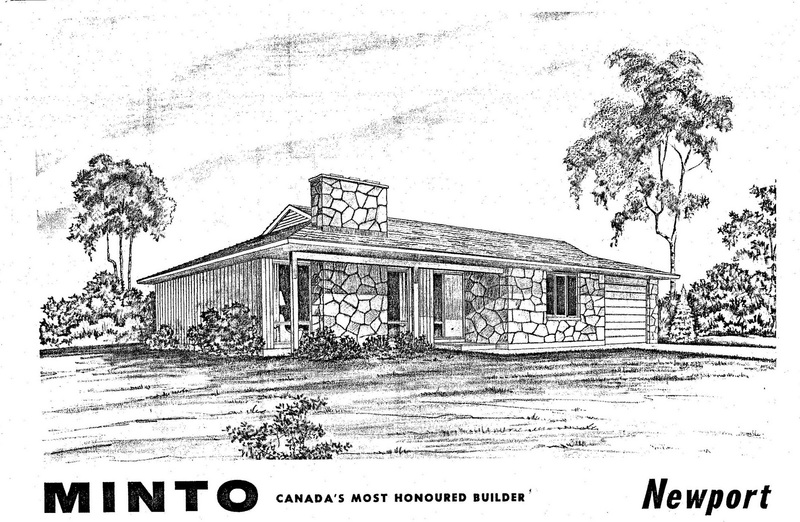 What was minto known for in the 60's? Thanks! Unfortunately, I am missing the Sussex floor plan in my collection - it is one of the few from the time that I do not have. I am not sure about the reviews in regards to the quality of construction at the time, but I do know that Minto was known for their award-winning designs in the 1960s. Throughout the mid-century, the Mansard roof was popular in Ottawa housing design. First popularised in France during the 17th century, and then revived in the 19th century, the roof style re-appeared in Ottawa during the 1960s. At first the roof was used on historically-inspired houses, but was eventually altered in a variety of ways to have a more modern take on tradition. 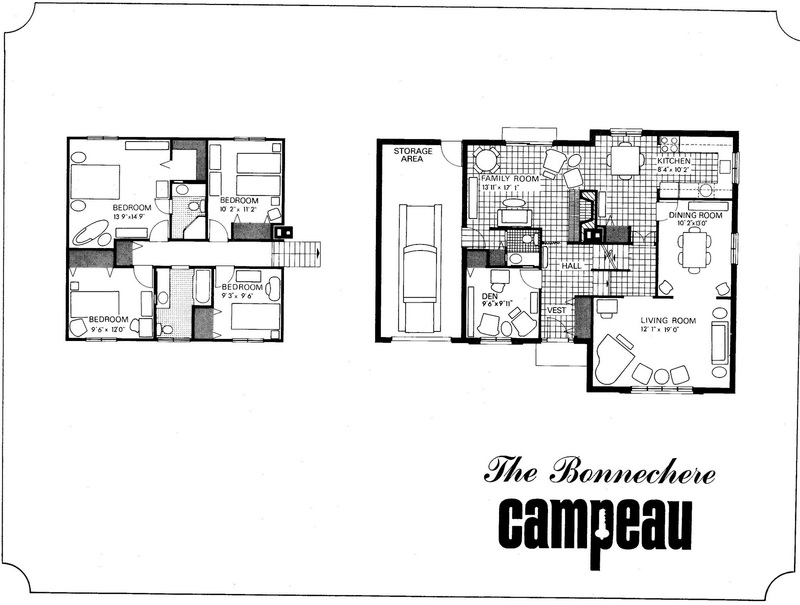 Campeau was the builder who used the roof the most in the mid-century, but other builders also followed suit. A traditional use of the Mansard roof. Playfair Park North/South, Russell Heights, c. 1965. 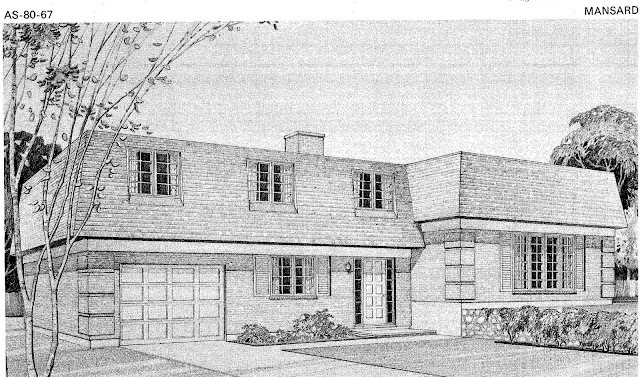 This plan had a traditional Mansard option as well as 2 Dutch Colonial options with a Gambrel roof. Beacon Hill and South Keys, c. 1967. Here is a great example of a modern take on the Mansard roof. Instead of protruding dormer windows with arched tops, these houses have an inset window and an asymmetrical facade. From the side, the roof actually has more of a Gambrel-style silhouette. Some of my long-time readers may remember that I did a series of posts on Costain a few years ago. For some reason, a few of my older posts have vanished from my blog - for reasons unknown to me. So, I have re-created this post on the builder Costain due to interest from some of my readers. 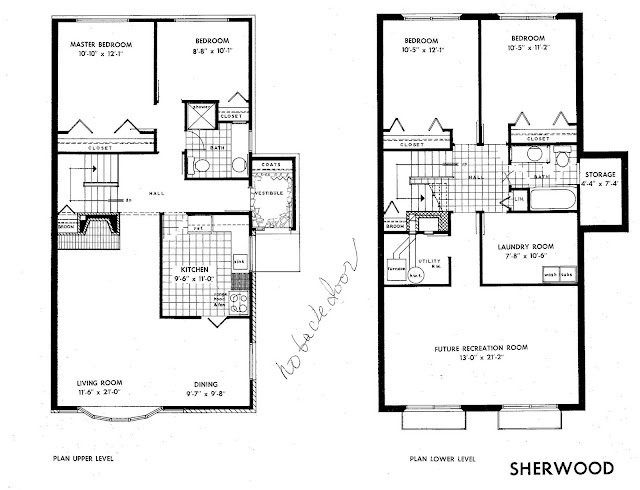 On the positive side, I have been able to get my hot little paws on some new floor plans and marketing material, so there is more material in this post compared to the original (now lost) post! In the mid-1960s the builder Costain (originally from England, but with an impressive global portfolio) came to Ottawa to develop a new hamlet in the eastern greenbelt called Blackburn Hamlet. 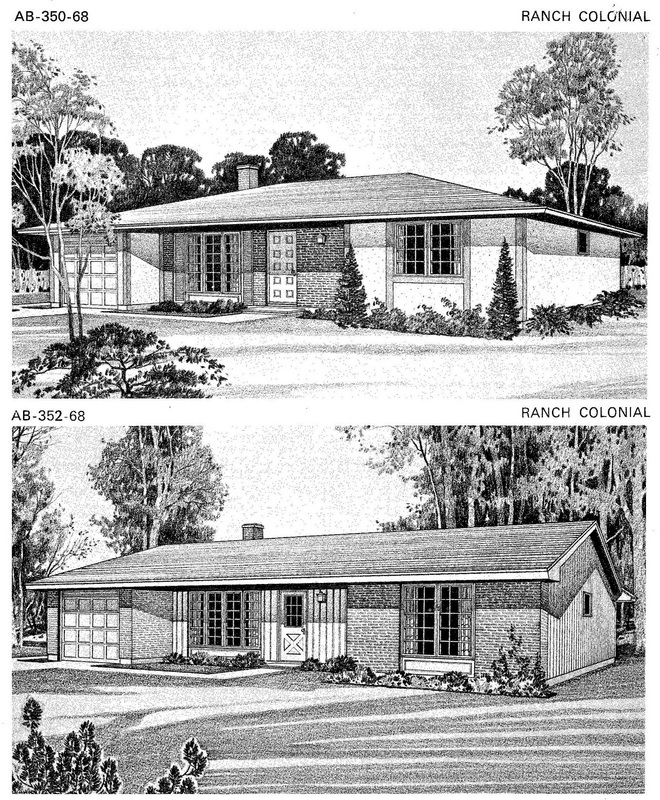 California spearheaded the popularity of the bungalow (or ranch home), in mid-century North America. In California, basements are rare. During WWII and immediately afterward, some Ottawa houses were built without basements to save costs. But, the appeal of having a basement as extra room for storage and expansion space, meant that the basementless house did not last long. 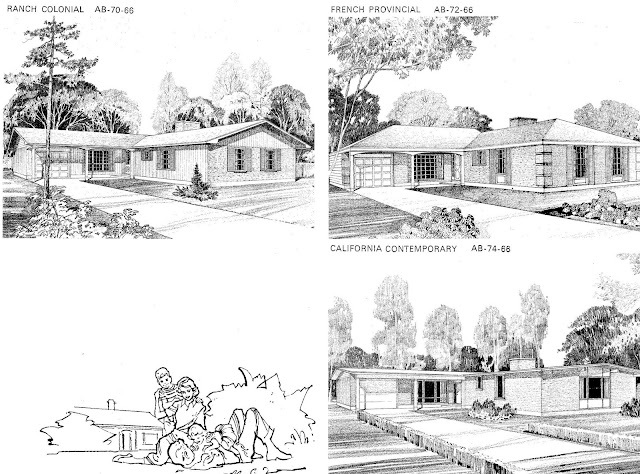 During the mid-century era, California became the epicentre of modern design. From the architect-designed case-study houses, to the mundane tract house, all eyes were on California. In Canada, books and periodicals on architecture filled with Californian design would have sparked the imagination of Architects and designers. 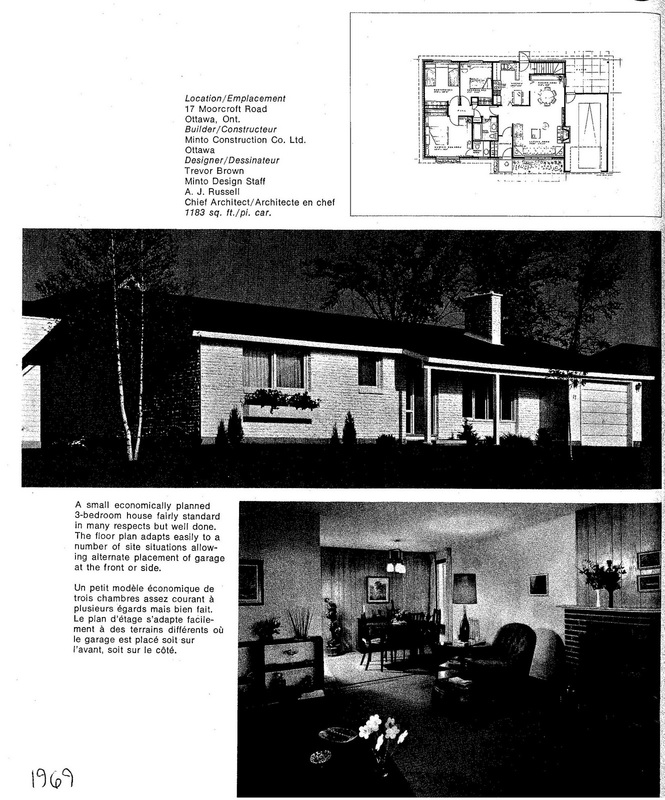 When one thinks of Mid-Century Modern (MCM) California tract housing, the name ‘Eichler’ often comes to mind. Perhaps one of the most famous MCM tract builders, Joseph Eichler, defined MCM design in the United States. His widely-published designs even captured the imagination of Canadians. 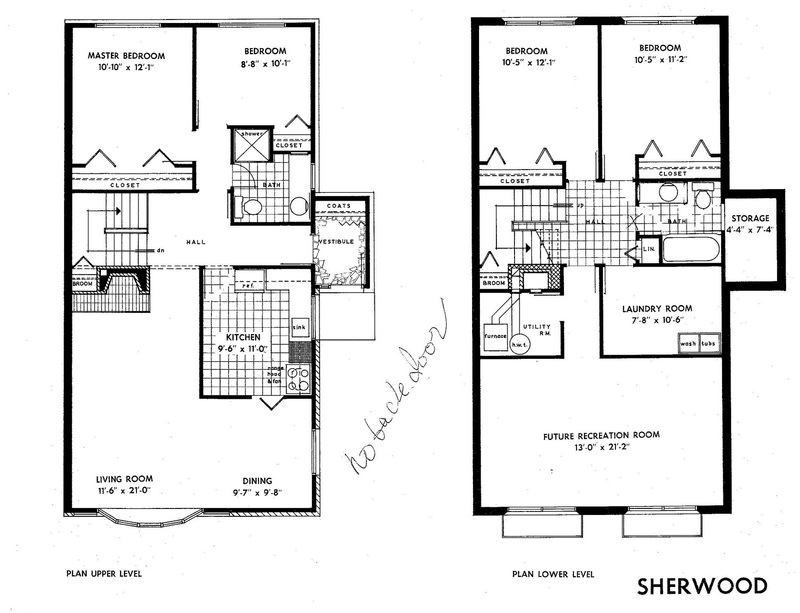 Any designer/architect in the know would have seen an Eichler plan. 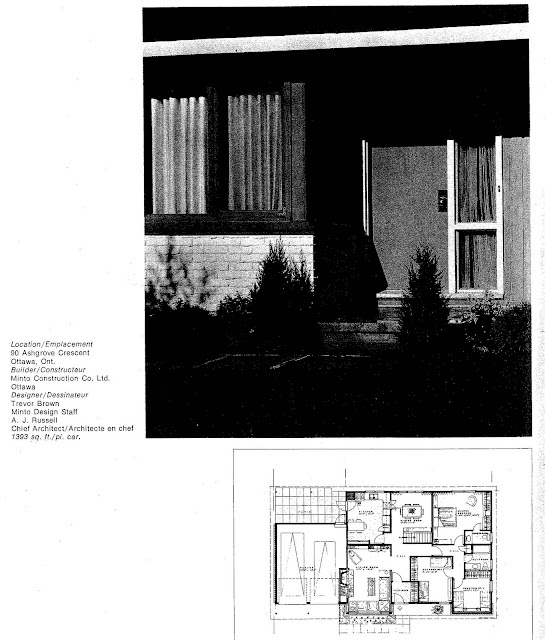 In Ottawa, there are a few examples of houses built in the 1960s with floor plans that could have been influenced by those being built by Eichler. 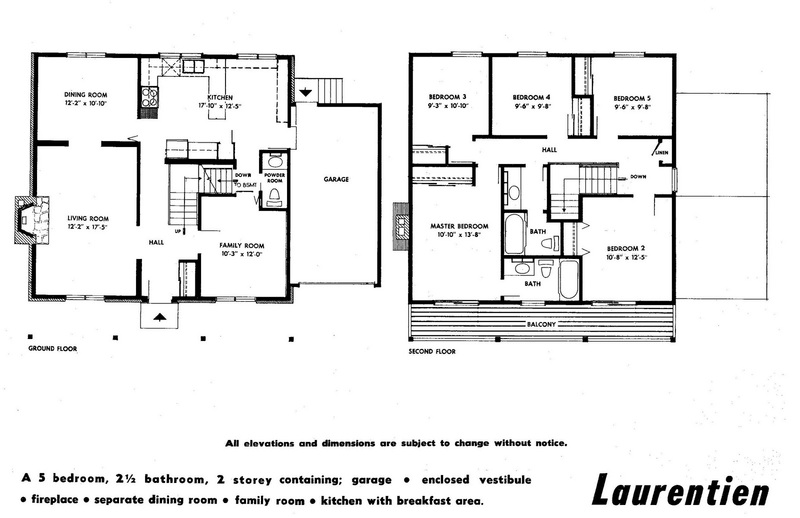 The most famous Eichler-built designs are those with an open-air atrium at the centre. 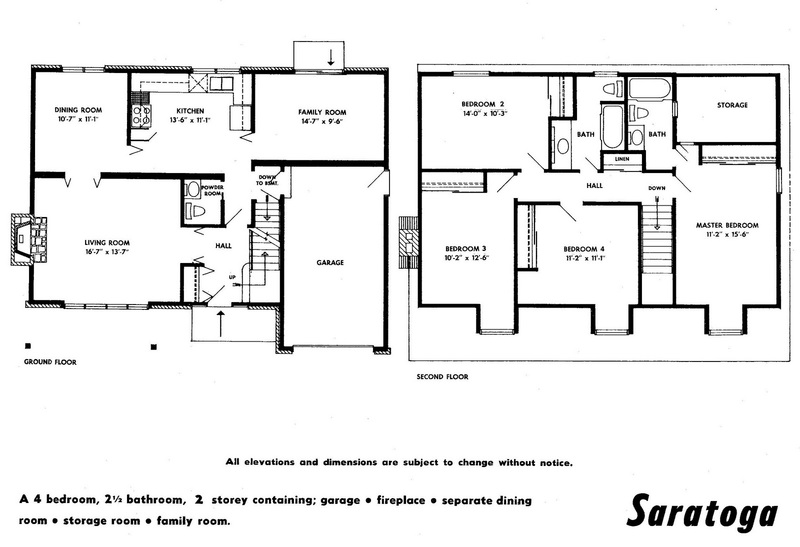 Between 1947 and 1974 the Canada Mortgage and Housing Corporation (CMHC), formerly Central Mortgage and Housing Corporation, published regular floor plan books of small houses suitable to be built in Canada. Blueprints could be ordered for the architect-designed plans, and examples of the built houses can be found throughout Ottawa. There are so many interesting plans that were available through the CMHC, so this is only the first posting with some of my favourites. If you recognise any of these designs that have been built in Ottawa (or elsewhere in Canada), please feel free to share the location with me! I have always been a fan of the butterfly roof! Although there are no front facing windows on the above design, the cedar shake cladding makes for a very interesting facade. 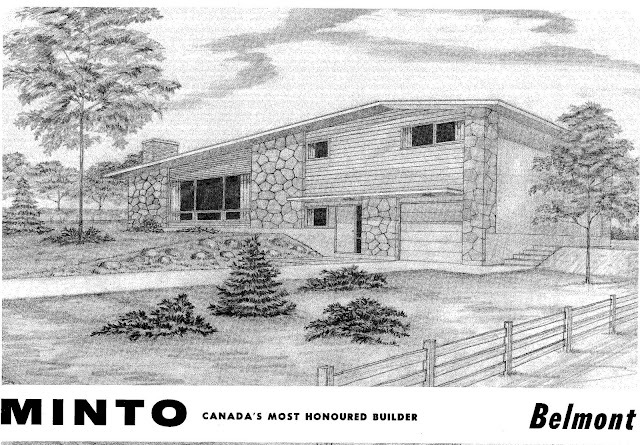 The architect was based out of Kanata, and I could easily see this house fitting into the natural landscape of Beaverbrook - although I don't think it was actually built there. Do you love MCM design, but are looking for a condominium apartment to call home? Ottawa has a good selection of MCM buildings where your Eames chair will feel at home. 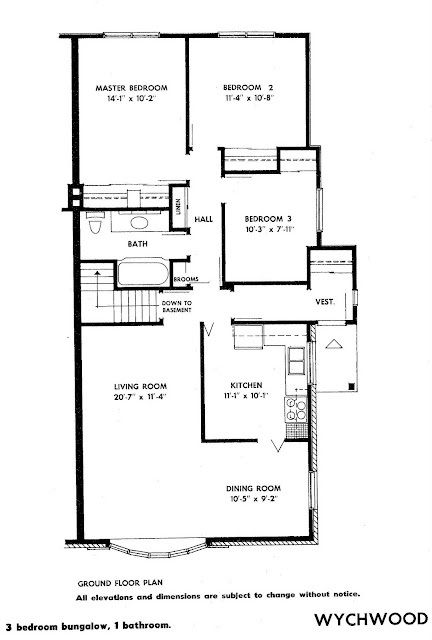 While some may find the plain exteriors of many MCM condos too severe, they usually have very spacious units inside - especially compare to the tiny condos built today. 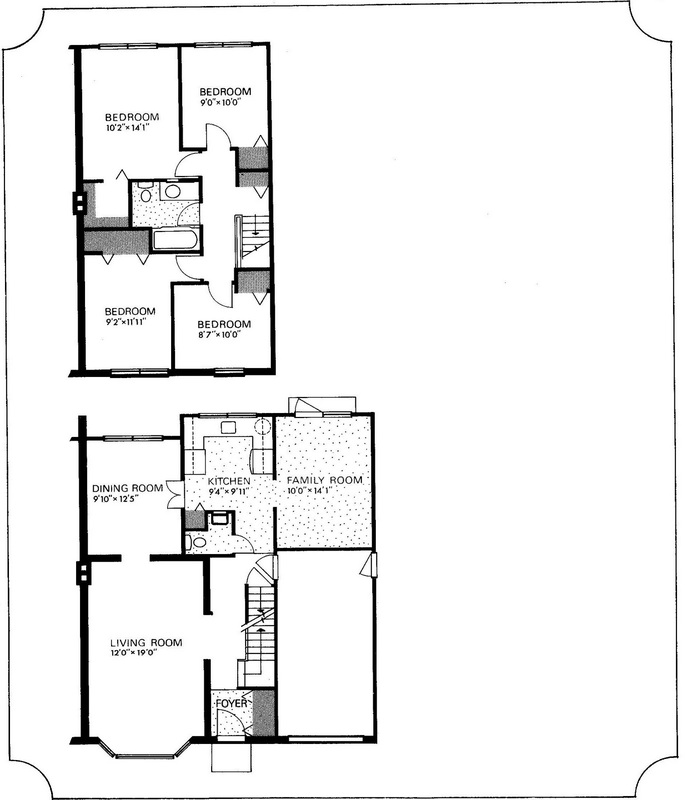 The simplicity of some of the plans may seem boring, but upon closer inspection, the well-proportioned rooms and abundance of natural light is quite appealing. MCM condo apartments were built in the later half of the period, as the first ever high-rise condo building in Canada was built in 1967. The Horizon House is located in Ottawa, and was built by Minto in Parkwood Hills. 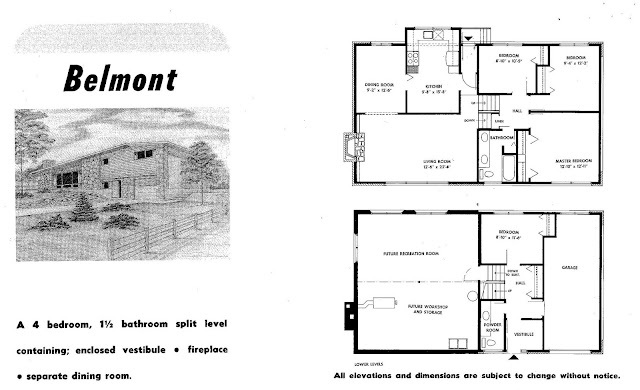 There were buildings built earlier in the mid-century, but they are rental apartment buildings. This particular posting will focus only on condo buildings. Horizon House - located at Meadowlands Drive and Chesterton Drive in Parkwood Hills. 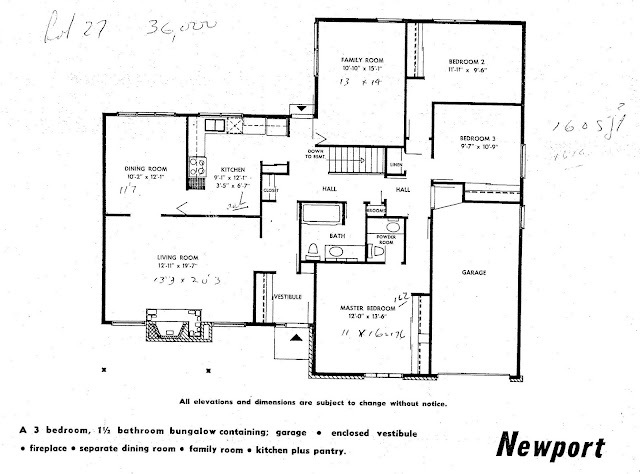 Below is a collection of floor plans that Campeau built in the late 1950s and early 1960s. I quite like the first plan with its blank front facade to the right of the front door. It gives the house a modern take on the Cape Cod-inspired 1 1/2 story style. I do not believe that many of this design were built, though. 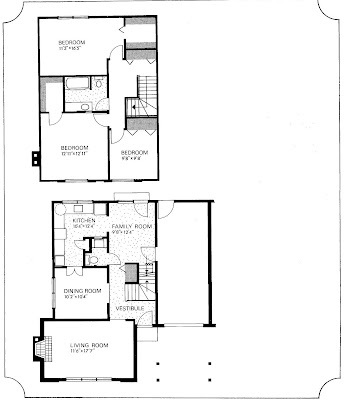 I also quite like this design below, with its blank facade and large wall of windows in the Living Room. Too bad my only copy of the plan is cut off at the top. Another blog post by request! Located south of Hazeldean Road east of Stittsville Main Street is a very special "adult-lifestyle" neighbourhood begun in the late 1970s. The original phases of Amberwood Village consist of a series of houses built in clusters along the edges of the Amberwood Golf Course. The development was originally built by a company called Jaric Developments Ltd. 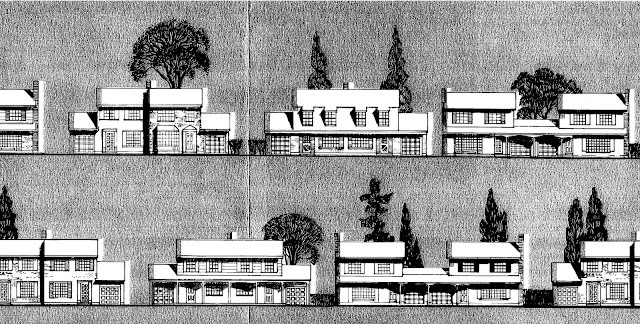 The architect of this original portion of the area was W.G.Mohaupt - who also designed the "courtyard singles" in Hunt Club (see my old post Favourite Plans South and scroll down to see these designs) - and also used to design houses for Minto. The clusters of attached houses are grouped on dead-end lanes and units are attached is a variety of arrangements. 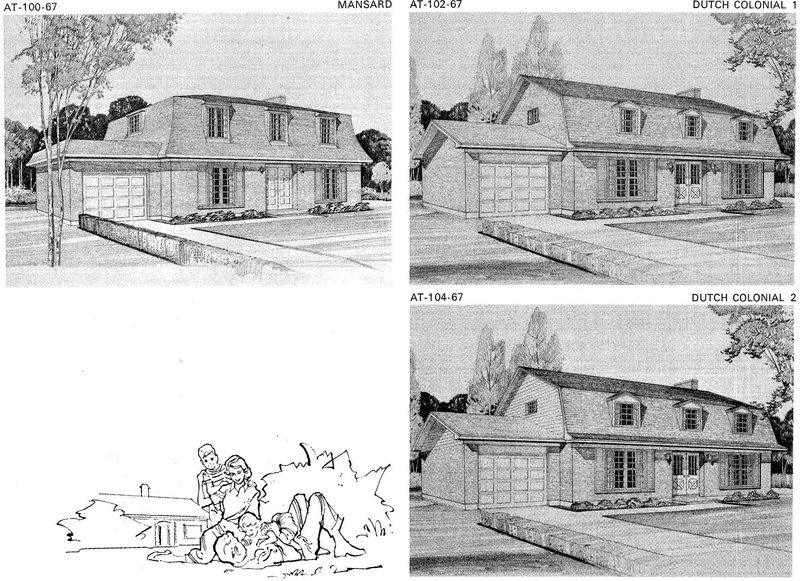 Some designs have an attached garage, while others have detached garages clustered together with others. The result is a very interesting streetscape with a lot of open space between units. Image courtesy of Google Maps. A few years ago, while completing my Master’s Degree, I wrote a paper on how the car changed the suburban house. I subsequently turned it into a lecture taught to Urban Planning students, and have now adapted that same research piece for this blog. Living in the suburbs and owning a car have gone hand in hand ever since the advent of the automobile suburb. The two coexisted comfortably, until a turning point when the shelter for the car (the garage) became so important, that it negatively impacted the design of the shelter for people (the house). To show this change, I will start with housing built early in the mid-century. I also write books and poetry!